The Holloway Terrace Civic Association and Volunteer Fire Company No. 1 was organized September 20, 1921 by the residents of Holloway Terrace for the purpose of furthering the interest and well-being of the citizens and offering protection to both the lives and property of our community. The first piece of firefighting equipment placed in service was a hand-drawn chemical apparatus with a total capacity of forty five gallons. On August 15, 1922 the association purchased a one-ton Ford chassis. The members set about to convert this chassis into a thoroughly modern firefighting apparatus and due to their skill and self-sacrifice the new engine was placed into service on December 16, 1922. On March 3, 1931 the association admitted Junior Runners into the company, As time passed and the community continued to grow, the fire company and the civic association became separate organizations. 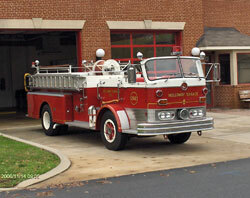 Thus, on March 3, 1948 came the formal recognition of the Holloway Terrace Fire Company No. 1, Inc. That same year the first building expansion of the fire company was achieved, replacing a wooden building with a new modern brick structure. On May 5, 1948, they became the first fire company in the State of Delaware to provide a River Rescue Unit and related Rescue Squad. Holloway Terrace Volunteer Fire Company became one of the original charter members of the New Castle County Volunteer Firemen’s Association after the association was formed at a meeting held at Holloway Terrace. Since that time, many of its Officers and Members have served in key leadership roles throughout our County and State Associations. In 1961, after adding its first ambulance, the company began providing emergency medical service to its communities. In 1969, the fire company completed a second building modernization and expansion, with the addition of new engine bays, offices, meeting rooms, kitchen facilities, and enlargement of its banquet hall. 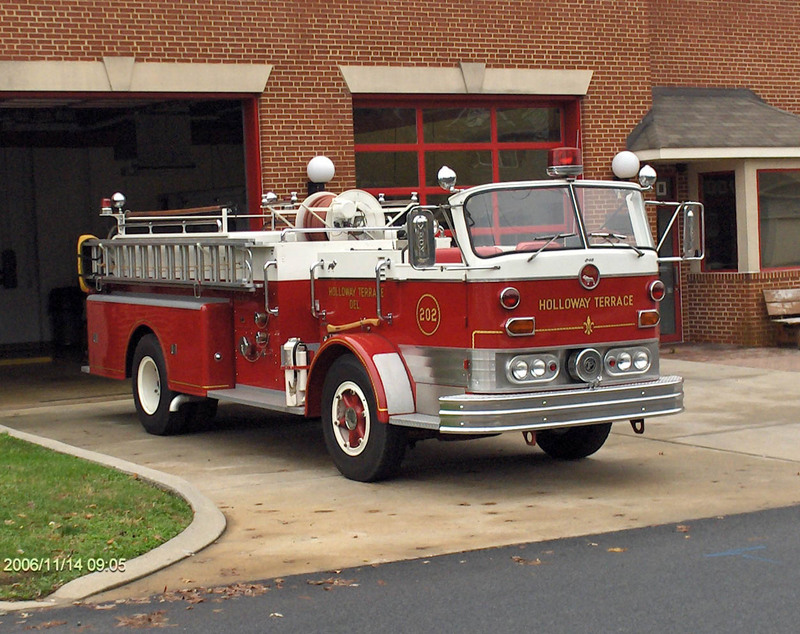 Throughout the years, Holloway Terrace has continued to plan, purchase, and maintain the most modern fire, rescue, and emergency medical service equipment available in order to meet the increased demand for emergency services from an ever-growing populace and industrial community. Throughout this progressive leadership, Holloway Terrace once again became recognized as the first Delaware’s Volunteer Fire Service to have self-contained breathing apparatus, an air compressor, and am mobile air cascade system capable of replenishing breathing air on the scene of major alarms.